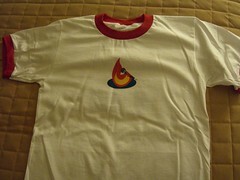 I’ve got a lonely XL Feedburner PodcastExpo 2006 T-shirt lying around that I’m happy to pass along to someone that – unlike myself – can fill it out. Put your offers in the comments. Franks. Previous PostPrevious Liberating Iraq for….China? Next PostNext Seriously, Where’s Our Car?